Seven Seas Films was set up in October 2016 by Writer Dan Sefton and Executive Producer Simon Lupton. 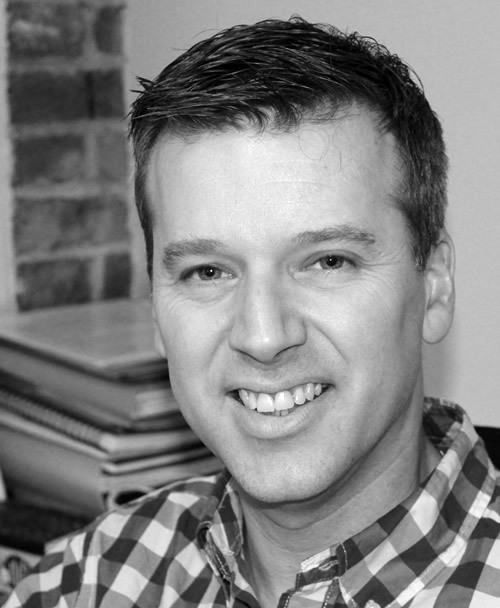 Simon Lupton has been a Producer of scripted content since 1999. Starting in the In-House comedy department at the BBC under Paul Jackson, Simon also worked with Andy Harries at Granada and then LeftBank, as well as undertaking freelance work with Retort, Princess Productions, Action Time and Comedy Central. In 2007 he became a Commissioning Editor for BBC Comedy, where he was Executive Producer on shows such as The Trip (BAFTA winner), Getting On (BAFTA, RTS, WGGB winner), and Catherine Tate : Nan’s Christmas Carol as well as classics such as My Family, Harry and Paul (BAFTA winner), and Green, Green Grass. In 2014 Simon moved to UKTV to spearhead their drive into original scripted commissions. Whilst there he was responsible for sitcoms Marley’s Ghosts (starring John Hannah, Sarah Alexander & Jo Joyner), The Rebel (Simon Callow, Bill Patterson, Anita Dobson), Bull (Robert Lindsay, Maureen Lipman), the Rose D’Or winning Henry IX (Charles Edwards, Colin Salmon, Kara Tointon), Zapped (James Buckley, Paul Kaye and Sharon Rooney) and two series of Red Dwarf (Craig Charles, Chris Barrie, Danny John Jules & Robert Llewellyn), all of which have surpassed previous ratings records. Simon’s tenure at UKTV also saw them taking their first steps into Comedy Drama – including The Comic Strip Presents….Red Top (starring Maxine Peak, Russell Tovey, Eleanor Matsuura and Nigel Planer) and Do Not Disturb (Catherine Tate & Miles Jupp). He has also developed the networks Drama strategy, initiating work on a variety of projects for their Alibi, Drama, W and Dave channels. In 2017 Simon Produced the first series of Porters (Ed Easton, Susan Wokoma, Claudia Jessie & Rutger Hauer) written by Dan. He then Produced Series 2 of The Rebel (Simon Callow, Bill Paterson & Anita Dobson) for Retort and Gold. In addition to his scripted experience Simon has also Produced Documentaries, including the Emmy nominated Queen : Days of Our Lives (BBC2), Queen : Rags to Rhapsody (BBC4) and Queen : Rock The World (BBC4). Dan Sefton’s original four part drama serial starring Dawn French, Emilia Fox and Iain Glen entitled DELICIOUS for Bandit TV/Sky One transmitted in December 2016. (“Delicious will leave you hungry for more” – The Sunday Times. “…remarkably nuanced, complex women [characters]” – TVGuide.co.uk). An original six part series starring GAME OF THRONES’ Amrita Acharia, Amanda Redman and Neil Morrissey entitled GOOD KARMA HOSPITAL for Tiger Aspect/ITV1 transmitted in February 2017. Both have been re-commissioned for a second series. Dan is also developing several other original series projects including Mallorca set crime series MALLORCA with Cosmopolitan Pictures/ProSieben, and is developing a series adaptation of Andy McNab’s LIAM SCOTT books for Heap Mason Media/Sky. He also has extensive TV series credits; most recently writing an episode of Harlan Coben’s series for Red Productions/Sky One, THE FIVE. Dan has also written episodes of BBC shows DEATH IN PARADISE and MONARCH OF THE GLEN, and ITV’s MR SELFRIDGE and SECRET DIARY OF A CALL GIRL. Visit our Links page for information on current and forthcoming shows written by Dan or produced by Simon.